Millions of homeowners could save big money -- and possibly their homes -- by refinancing to today's historically low rates. But most don't even apply. Nearly one in five homeowners who are behind on their mortgage payments have loans with interest rates of 8% and higher -- nearly double today's rates of around 4%, according to nonprofit community development group NeighborWorks America. The government recently launched a campaign to convince those most at risk to take the leap. According to the Federal Housing Finance Agency, nearly 770,000 homeowners are eligible for cheaper loans through its Home Affordable Refinance Program. Refinancing through that program could save homeowners an average of $200 a month, or $2,400 a year, the agency said. Even homeowners who aren't struggling to make payments could benefit. Overall, there are 7.4 million mortgage borrowers in the U.S. with rates of 4.5% or higher who could qualify for -- and benefit from -- refinancing their mortgages, according to Black Knight Financial Services, a mortgage analytics company. So why haven't homeowners acted? It's a combination of procrastination and fear, according to study from the University of Chicago and Brigham Young University. "Deciding to refinance is a complex decision," said University of Chicago professor Benjamin Keys, one of the authors of the study. Many borrowers have heard horror stories from friends and neighbors who refinanced in the past, sometimes into predatory loans, he said. Some borrowers who tried to refinance found the process "time consuming and confusing," said Jeanne Fekade-Sellassie, a senior vice president for NeighborWorks. "Others don't believe they qualify." For borrowers who manage to make their payments, status quo seems to be working, so why risk change? And then there are distressed borrowers who have been in and out of default for years, meeting with harried foreclosure counselors, dealing with unsympathetic lenders, compiling paperwork over and over. All of this to save homes that may be worth a lot less than the amount the borrowers owe. Still, no matter how difficult the process, the savings can be worth the headache. At 4%, borrowers who have a 30-year fixed-rate mortgage with a $200,000 balance would save more than $300 a month, compared with someone who has the same loan at a 6.5% rate. For those who are currently paying 8%, the savings comes to more than $500 a month. 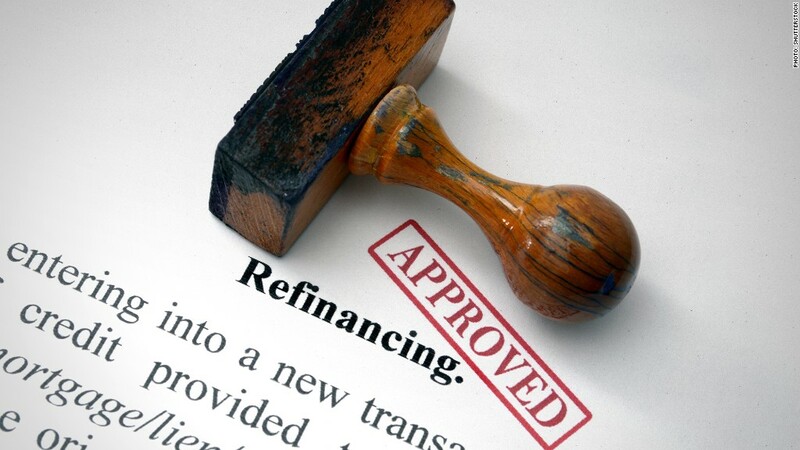 Keys said the huge savings from refinancing may sound too good to be true to some. But the savings are real. "It's a real shame if people miss out on the opportunity," he said.